Erik Roscam Abbing is Managing Director of the Dutch part of Livework, an international, strategic design consultancy focused on customers and services. 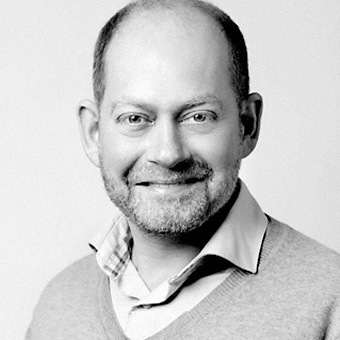 Erik is a consultant, guest lecturer and thought leader in brand driven innovation, customer experience and service design. In his work he brings together the disciplines of branding, innovation and design. Erik and his team consult for a variety of international clients in the product and service industries, these clients include: Philips, Ziggo, Natuurmonumenten, Vodafone, Europcar and many more. He uses a set of proprietary methods and tools that are described in his book ‘Brand Driven Innovation’, as well as in several papers and publications he contributed to. Livework's services include customer insight research, brand development, innovation strategy, and customer experience design. Erik is also a guest lecturer at the school of Industrial Design at the Technological University of Delft, the Netherlands where he develops and teaches classes related to strategic design, design thinking and branding. Next to that Erik is a guest teacher at the Hochschule Luzern, Education Director of the Master in Design Management programme at Eurib Rotterdam and contributor to MBA programs in Mexico, Vietnam and Amsterdam. Erik is the initiator and producer of the documentary ‘Design the new Business’, that explores how design thinking is influencing 21st century businesses. He is also the founder of ‘7daysinmylife.com’ a platform for online user insight research. Erik has studied Industrial Design Engineering at the Technological University of Delft and Design Management at Inholland/Nijenrode. Although still in its relative infancy, service design has witnessed amazing adoption the past few years. Big corporates and public institutions like Swisscom, ING, the city of Rotterdam and Volkswagen (to name just a few) are embracing it and even internalising it into well organised and structured departments. However, on the other side of the spectrum, there are of course plenty of organisations to whom service design is still entirely unknown. In this opening keynote, Erik will explore these differences. His view is that service design (as a family of methods, processes and tools based on design thinking and applied to services) can be useful, enriching and effective in a great variety of organisational contexts. Service design can adapt to organisational readiness and different stages of maturity. Thus it can help first time users like SME's as well as startups or experienced corporates. And more than that, it can help organisations progress in their journey to become more human centered, agile, innovative and co-creative.